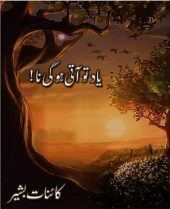 You can download pdf of Yaad to aati ho gi na Novel by Kainaat Bashir or read online. Here is the amazing novel by "Kainaat Bashir" named "Yaad to aati ho gi na Novel". The Novel is in urdu language. This is one of the best work by this author. You can download pdf of Dark Heart Part 2 by Mazhar Kaleem (Imran Series) or read online. Here is the amazing novel by "Mazhar Kaleem" named "Dark Heart Part 2". The Novel is in urdu language. This is one of the best work by this author. You can download pdf of Dark Heart Part 1 by Mazhar Kaleem (Imran Series) or read online. Here is the amazing novel by "Mazhar Kaleem" named "Dark Heart Part 1". The Novel is in urdu language. This is one of the best work by this author. 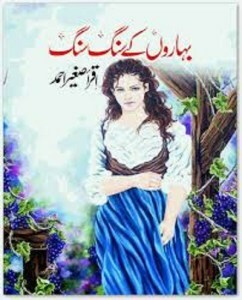 You can download pdf of Bheegi Palkon Par Novel by Iqra Sagheer Ahmad or read online. 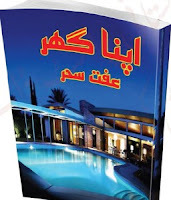 Here is the amazing novel by "Iqra Sagheer Ahmad" named "Bheegi Palkon Par Novel". The Novel is in urdu language. This is one of the best work by this author. You can download pdf of Baharon Ke Sang Sang Novel by Iqra Sagheer Ahmad or read online. Here is the amazing novel by "Iqra Sagheer Ahmad" named "Baharon Ke Sang Sang Novel". The Novel is in urdu language. This is one of the best work by this author. You can download pdf of Apna Ghar Novel by Iffat Sehar Tahir or read online. 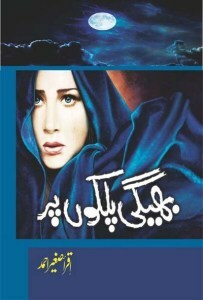 Here is the amazing novel by "Iffat Sehar Tahir" named "Apna Ghar Novel". The Novel is in urdu language. This is one of the best work by this author.